Instructions: Card size 6"x 6" (final size). Cut pattern paper from Sweet Peony paper collection slightly smaller than card base, tear edges and adhere. Choose another paper from the paper collection into a triangle, tear the edges and adhere onto bottom left corner of card. Die cut eyelet lace frame die on white cardstock and adhere onto card as shown. Die cut one Albums Tags and Accents Die on white cardstock and adhere it with foam tape. Die cut another layer of tag die and distress the edges with Archival ink-Cactus Flower along with a dauber. Stamp the sentiment from For My Friend Sentiments with Archival Ink-Jet Black and adhere it with foam tape to give some dimension. Stamp Peony Bud and Blossom Cling Stamp Set on white cardstock with Archival Ink-Rose Madder and die cut it with matching die and then sprinkle some Crystal Clear glitter using Designer Dries Clear Adhesive and arrange them as shown. Stamp some large and small peonies with Archival Ink-Cactus Flower and Vibrant Fuchsia, die cut them with coordinating die. Color them using daubers along with Cactus Flower, Vibrant Fuchsia and Leaf Green in the center. Shape them with 3D Basics mold. 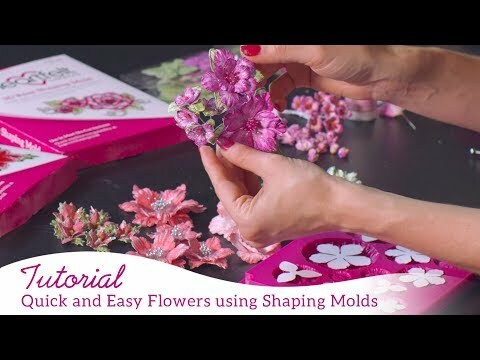 Layer the larger ones together to create beautiful flowers, piercing the center and inserting the Rock Candy stamens. 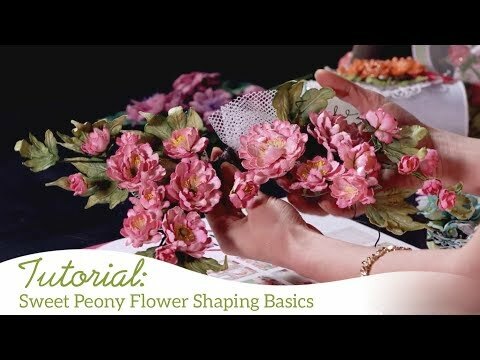 For the smaller peonies, pierce the center of each one, inserting one stamen in each flower and assemble them to make beautiful flowers shown. Stamp the leaves in Leaf Green ink and die cut with coordinating dies. 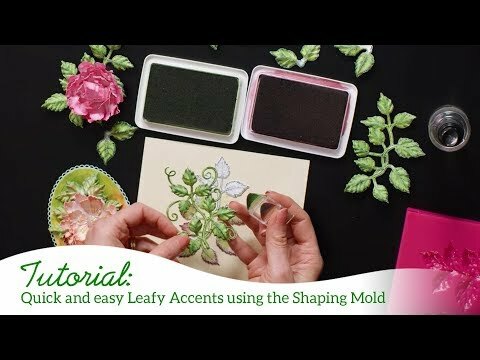 Color with same ink and shape using the 3D Leafy Accents mold. Adhere all pieces as shown using Dries Clear Adhesive. Finish by adding glue along background of card and sprinkle with accent prills, allow to dry.